Paul Wesley says this upcoming seventh season of The CW’s The Vampire Diaries will see a shift in dynamics, which makes sense as season six saw the exit of the show’s lead actress, Nina Dobrev. 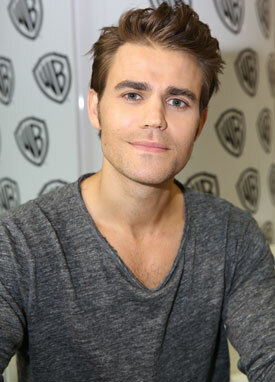 Dobrev opted not to return to the popular series and during roundtable interviews at the 2015 San Diego Comic Con, Wesley discussed how things will change now that Elena’s no longer in the picture. “I think it’s cool that obviously it’s a different sort of theme, Elena’s going so there’s going to be a natural shift. The original triangle of Damon, Stefan and Elena is what made the show such a big hit and what brought in the fans. But Nina wanted to leave and the show sort of needs a fresh spin, so it’s almost like a fortuitous opportunity to create something new. We might really botch it, but we’ll do our best not to,” explained Wesley, laughing. The Vampire Diaries premieres season seven on October 8, 2015.